Los Angeles,California-- Opening a new front in the struggle to stop widespread mistreatment of lesbian and gay students in public schools, Lambda Legal Defense and Education Fund said Thursday that it is suing school administrators in Reno, Nevada, for allowing years of merciless abuse to drive a gay student from completing high school. With a teleconference discussion to be held today (January 28) Derek Henkle and Lambda Supervising Attorney Jon W. Davidson will announce the lawsuit against Washoe County School District officials who failed to protect Henkle and violated his constitutional rights. To be filed Friday in United States District Court in Nevada, Derek Henkle v. Ross Gregory, et al. seeks a high school diploma as well as compensatory and punitive damages for Henkle. "What we have here is a school district's complete abdication of its responsibility to protect all young people in its care," said Davidson. 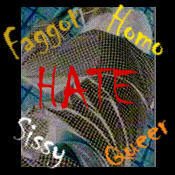 He added, "Unfortunately, the problem of harassment against gay youth is epidemic in schools across the country. This lawsuit will show that there is a heavy price to pay for allowing students to live in fear and suffering because of anti-gay abuse." Added Henkle, now 19 and living in Atlanta, "It was a nightmare to be bounced from school to school while other students tortured me and administrators made me feel it was my fault. I think that it is an absolute shame that this kind of abuse is allowed to happen to gay students every single day in schools across the country." The lawsuit charges the principals and administrators at Galena, Washoe, and Wooster High Schools, with violating the constitutional guarantee of equal protection because they refused to act decisively against the anti-gay harassment. The case builds from a 1996 Lambda victory, Nabozny v. Podlesny. After a jury verdict for the plaintiff, school officials in Ashland, Wisconsin, agreed to pay nearly $1million for ignoring the beatings and abuse suffered by another gay youth, Jamie Nabozny. Since the Nabozny case, lesbian and gay students have filed similar lawsuits in California, Massachusetts, New York, Washington, Kentucky and elsewhere, focusing national attention on the severe problem of violence and harassment directed at lesbian and gay teenagers in schools. The Henkle case breaks new legal ground with its charge of first amendment violations by school officials who forced Henkle to hide his sexual orientation. Also, the case raises state tort law claims of negligence and infliction of emotional distress, and seeks punitive damages against school officials, including a school teacher, who tolerated anti-gay abuse. Said Henkle, "Even after I repeatedly asked for help, none of the adults cared enough to try to stop the violence and daily taunts and threats. I hope my lawsuit will mean that no other gay students will ever have to go through what I did for almost three years." As administrators ignored vicious rumors and anti-gay slurs, the abuse quickly escalated to threats of violence, bullying, and physical attacks that followed Henkle through three separate high schools. At Galena High School, two boys threw a lasso around Henkle's neck and threatened to drag him from their pick-up truck. Later, at Wooster High School, school police officers stood by and watched a student repeatedly punch Henkle in the face. At Washoe High School, the principal warned Henkle against "acting like a fag." Yet, his numerous complaints were largely ignored. Often, Henkle himself was treated as the problem, with school officials shuffling Henkle from school to school or suggesting that Henkle should expect violence because he is openly gay. Despairing of his chances for a safe education in the school district, Henkle, then only 16 years old, was forced to enroll in adult education classes where a high school diploma could not be obtained. Lambda Staff Attorney Doni Gewirtzman, who also is involved in the case, added, "The tragedy in all of this is that Henkle continues to pay for the humiliation and abuse he suffered even now that he's living on his own, thousands of miles away. He is a bright, young man whose future was stolen not only by the students who beat and punched him, but also by the adults who stood by and did nothing."